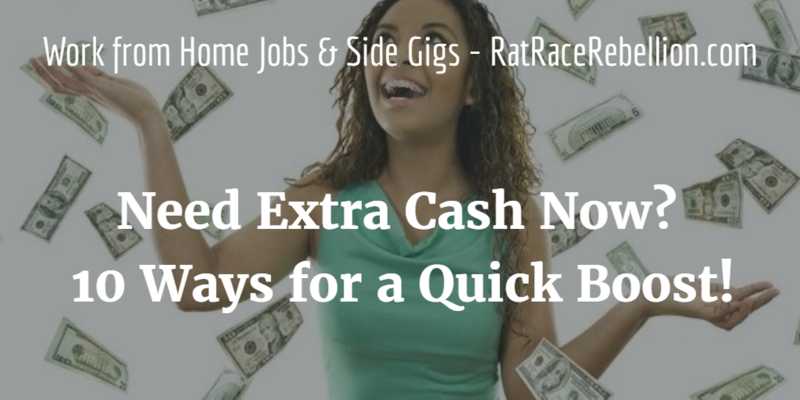 Need Extra Cash Now? 10 Ways for a Quick Boost! Everyone needs extra cash these days. Here are 10 ways to get some income moving quick. Some are faster than others, and they won’t make you rich, but all will put dollars in your pocket. Get $100 for a List – Listverse will pay you $100 for a list of 10 items. Make your list quirky and original to boost its chances of getting accepted. Get Paid to Be a Friend (Clothes On) for $50/Hr. – RentAFriend.com lets people rent themselves as G-rated friends. Set your own price. “Some people are making over $2,000 per week,” says the site. Bundle Those $5 Signup Bonuses at Survey Sites – Some survey sites pay signup bonuses. Bundle them together for a bigger payout. You’ll get $15 for signing up at iSurveyWorld, InboxDollars and Swagbucks. Grab an extra $2 for signing up at Vindale Research. Get Paid for Your Receipts – Snap a pic of your receipts and get cash back from ReceiptHog via PayPal. “You may submit your own receipts or any receipts obtained by your household.” Available for iOS or Android. 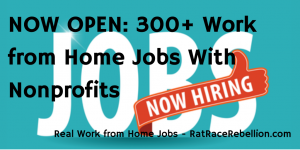 Get Up to $30/hr. 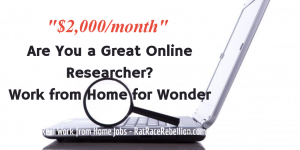 to Look Things Up Online – Wonder hires part-time Researchers to answer questions from the public. “Researchers can earn up to $20-$30/hr., depending on how quickly they work and which kinds of questions they choose,” the company says. Get Paid to Shop for Groceries (No Car Needed) – Instacart pays part-time Shoppers $15-$20/hr. to buy groceries at Whole Foods and other stores for its customers. Make $25 or more if you have a car and can deliver, too. 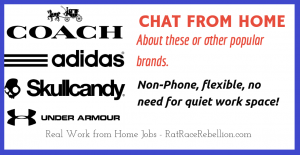 Be a Seasonal Work from Home Customer Service Associate for Amazon – Amazon is hiring seasonal Agents now in AZ, DE, FL, GA, KS, KY, MN, NC, ND, OH, OR, PA, TN, WA, WV, WI and VA. Pays $10/hr. plus bonuses. Make $30/Hr. Chatting with Chinese Students (No Teaching Experience Needed!) – Palfish lets you chat via smartphone with Chinese students who want to practice their English. No teaching experience necessary. Enjoy! And please share this post with friends and family too!